Benedictine University began in 1887 as a Roman Catholic university associated with the Benedictine order, though people of any faith may attend. It was initially named St. Procopius College and located in the Pilsen community of Chicago. In 1890, the state of IL, chartered the school predominately to educate Czech and Slovak immigrants, but has today grown to a student body of world class diversity. In 2011, the US News & World Report ranked Benedictine University 12th in the Midwest and 6th in Illinois among masters universities for racial diversity. The campus was moved to its current location about 1/2 hour by car outside of Chicago, in Lisle, IL in 1901. St. Procopius College changed its name to Illinois Benedictine College in 1971, and once again in 1996 to Benedictine University. Benedictine University offers both career focus and liberal arts education training, and is accredited by the Higher Learning Commission of the North Central Association of Colleges and Schools (NCA). Benedictine University is an academic powerhouse with opportunities to study in a wide array of degree choices. On line, MBA degrees are available in finance, marketing, international business, health care administration, and a unique entrepreneurship and managing innovation program for future business owners and leaders. There is even a masters degree of education in reading and literacy, allowing those with prior teaching credentials to further their impact on the American school system. Benedictine University’s Master of Public Health degree is split into two specializations. The Administration of Health Care Institutions and Disaster Management are offered separately or can be taken together to form a dual major. These programs are offered 100% on line, and are a great opportunity for those with professional and life-long learning goals and a need for flexibility. Students have access to course work and communication tools on a 24/7 basis, allowing them to study and progress academically on a schedule of their choosing. During on line office hours there are virtual training sessions and collaborative chat groups, allowing for the same style of educator and classmate interaction that is available in a campus setting. Benedictine University is a world renowned school, and has achieved several achievement awards including the Chronicle of Higher Education 7th fastest growing campus in the country 2004-09, and the US World & News Report 8th highest average freshman retention rate 2001. Crains Chicago Business listed Benedictine’s master of business administration as the fourth largest in the Chicago region and the on line master of science in nursing and public health were both singled out as top 10 nationwide by thebestcolleges.org. Benedictine University is also acknowledged at one of the top 10 catholic schools in the country and a 2012 military friendly school. While the school still retains a strong bond with the Benedictine order, it has a strongly held non discrimination policy and is open to all faiths. The moral fabric of the school is guided by the principles of life long learning and can be seen in the many available non academic benefits it provides, such as a complete job placement center, and a top rated athletic program. Benedictine’ University’s athletic club participates at the NCAA III level in baseball, golf, soccer, softball, track, volleyball, lacrosse, tennis, cross country, dance, cheer leading, and football, as well as hosting the summer baseball Dupage Dragons. Benedictine serves over 3000 undergrad students and 96 percent of all graduates go on to gain employment in their chosen careers. If you are looking for a fully accredited school with a strong commitment to helping its students achieve their career and educational goals in a fully on line environment with results that extend far beyond the classroom, then Benedictine University is a great place to start your search. Have you studied at Benedictine University? Please provide a brief review of your experience at Benedictine University in the comment section to help other readers! With its main campus located just south of Omaha, Nebraska, Bellevue University in Bellevue, NE has been offering quality business and liberal arts education since for over 40 years. 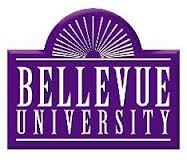 Bellevue University was formed as Bellevue College in 1966, and became Bellevue university in 1994. In 1996, Bellevue University started offering on line courses and now serves over 11,000 students worldwide. Bellevue University was the first accredited university to offer an MBA on line and maintains its lead as one of the most cutting edge educational facilities nationwide. Bellevue University is deeply committed to offering the education needed for students to move on to graduate degrees or for advancing in their current careers. Students attending Bellevue University on line have several education choices available to them, including career based training, associates and bachelor degrees, and even master’s degree programs. Bellevue University offers several majors for the on line student, including, but not limited to accounting, culinary arts, logistics management, graphic design, corporate design and management information systems. master’s degrees are offered in health care administration, human services, public administration, as well as others. Bellevue also has a real world training program that allows for accelerated training in several fields, allowing those with busy schedules or time restrictions to advance their career path and achieve their professional goals in as short a time span as possible. Bellevue University’s stated goal is to make affordable, quality education accessible to students of all ages, and is accredited by the Higher Learning Commission of the North American Association of Colleges and Schools (NCACS). Bellevue’s bachelor of science in accounting and business administration has also received specialization accreditation and the masters of business administration degree is accredited through the International Assembly for Collegiate Business Education. One unique feature of the Bellevue on line class program is that on line classes count toward the 21 credit hour residency requirement without requiring on campus availability. This is great for those who find it inconvenient or impossible to attend class on campus, such as career professionals and those in the active military. Bellevue offers its on line students many of the same programs and tools available to its campus students, as well as some that are to be found only in the virtual environment. The Cyber-Active Learning Classroom allow students to communicate securely with both other students and faculty, and the Bellevue Real-Time User Information Network makes it simple to tend to tech support and administration needs. Bellevue is the largest private university in the state of Nebraska, and located just minutes away from the heart of the state’s entertainment, cultural and governmental capital, Omaha. The most popular degrees offered at Bellevue University are business, business management, administration. graphic design, and commerce. The quality of education offered by the university is top notch, though the price to attend is reasonable. At under $7,000, the tuition and fees are well below the national average for such a high level of study. Bellevue University also offers a national known athletic club,The Bellevue University Bruins. They complete in the Midlands Collegiate Athletic Conference of the NAIA, and are consistently ranked amongst the nation’s top teams in several sports. Bellevue university athletics is best known for its big win at the NAIA Baseball World Series, but has also Produced numerous NAI Academic All Americans, and two NCAC Commissioner’s Cups. If you are looking for a school with an excellent reputation with both a successful campus and a thriving on line community to help you achieve your educational or career goals, then Bellevue University is definitely not a school to overlook. Have you studied at Bellevue University? Please provide a brief review of your experience at Bellevue University in the comment section to help other readers! The Baker College System is the largest independent college system in the state of Michigan with 16 different campus locations as well as an on line training school serving over 35,000 students. Baker college strives to offer the best career college education possible with class and schedule flexibility in a wide range of fields. Baker currently offers over 40 degree programs from the introductory to masters level and even offers accelerated programs for those looking to advance their career in the shortest time frame possible. Baker started its long history as two separate entities, Muskegon College, which was founded in 1888, and Baker business University in 1911. In 1965 the two schools combined management under Robert Jewell of Muskegon, and formally merged as Baker Junior College in 1974. John Wesley College, the third school in the triad, was acquired in 1983, and formally became the Baker College System in 1985. The Baker College System offers over 150 career oriented programs, both on line and on campus. 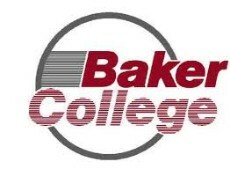 Baker College Online is a division of Baker College, which is fully accredited and offers many on line undergraduate programs, including web design, marketing, accounting, computer science, project management and planning, as well as finance and code administration. Baker also provides an excellent graduate program offering in the areas of business administration, occupational therapy, and MS in information systems, and even a doctorate in business administration. Baker College is accredited by the Higher Learning Commission and a member of the North Central Association. The Baker Center for Graduate Studies also carries professional accreditation by the International Assembly for Collegiate Business Education (IACBE) and the occupational therapy program also has accreditation through The Accreditation Council for Occupational Therapy Education (ACOTE). Baker College Online courses are scheduled classes, but still offer the flexibility needed to study while maintaining a career or other pursuits. Over 40 of its programs are degree programs, and all are geared toward career advancement in the fields that students want. Campuses are located across the state of Michigan, as well as on line. The on line student body of the university is extremely varied and culturally unique, with students attending worldwide. The cost of attending Baker College Online is what you would expect to pay for a junior college, though the ability to complete your education to a masters or doctorate level is a plus. Undergraduate, masters, and doctorate classes are $210, $375, and $510 a credit hour respectively. There is also a small fee for admissions and graduation. Many companies offer reimbursement of tuition to Baker College students and student financial aid is available to those who qualify. Baker College Online utilizes the best in technology and teacher resources to provide an education experience that is both convenient and progressive. Through the use of web casting, email, and printable materials alike, students are able to complete their work, communicate, and research their chosen fields in the same way that they will be expected to when in their career environment.Computerized learning is an addendum, and not a replacement for teacher interaction at Baker College. Live course work and educator interaction is central to the education method at Baker. Many professors will hold discussion groups and even personal on line chats help students communicate and complete courses. This makes an on campus quality education available to anyone with an Internet connection and the determination to complete the coursework. We’ve been there – the teacher who can’t really teach, the textbook that makes things even more confusing, and the frustration that comes with studying for the big test. With Educator, you can solve all these problems. Our customized interface creates a one-to-one learning environment with the professor while emphasizing graphical explanations and working through solution steps. Join over 100K satisfied high school and college students who have aced their classes and exams with Educator.com’s video tutorials. Have you studied at Baker College Online? Please provide a brief review of your experience at Baker College Online in the comment section to help other readers! Ashford University is a liberal arts college that was founded in 1893 in Clinton, IA by the Sisters of St. Francis.. It is a for profit, private university that has been accredited by the Higher Learning Commission of the Northern Central Association of Colleges and Schools since 1950. It also has recently applied for regional accreditation with the Western Association of Schools and Colleges. 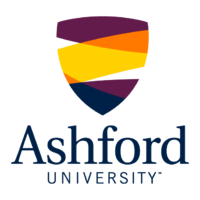 Ashford University, initially named Mount St. Clare College later changed its name to The Franciscan University in 2002. In 2005, through its acquisition by Bridgeport Education, Inc., the school again changed designation as Asford University, as it is know to this day. Ashford University operates both a campus location as well as its online school, and offers several bachelor arts programs including accounting, psychology, business, graphic design, health care administration, elementary education and public relations and marketing. In addition to their bachelor of arts offerings, since 2005, a student has also been able to attain a masters degree education through Ashford Universities Organizational Management Program. All in all, Ashford University offers over 50 degree programs from the associates through masters levels. Though the school has gone through many changes over the last century, it has maintained its commitment to providing a solid liberal arts program and helping its students prepare for the future through the nurturing of its core values of service, social awareness and integrity. While many of its students attend virtually, campus attendance has been rising in recent years, and the school boasts a wide variety of amenities available to all students, including a full fledged athletics program and several clubs and organizations, such as outlets for the fine arts, music, and even an honor society. In the past, while known as St. Clare College, Ashford provided Clinton county with over 60% of its teachers for both rural and township schools. Teacher education lasted from 1932 until 1942, and remains a stable of the Clinton county educational community, now serving around 1000 students on campus and a much larger number through its virtual school worldwide. In the area of athletics, Ashford University is host to 17 teams in various sports for both men and women. In 2010, Ashford erected a new athletic facility complete with an outdoor soccer field and track. The new athletic center was not without its detractors. The Huffington Post described the land purchase for the facility as unneeded and even concluded that there was no need for a 500 seat football stadium, as the school had no football team (alluding to its new soccer field). Never leaving its commitment to academic standards, Ashford University Athletics was awarded the Midwest Collegiate Conference President’s Cup for achieving high academic proficiency among its athletes. A total of 96 students were chosen for the Academic All-MCC team and 21 students were awarded certification as Daktronics-NAIA Scolar Athletes, carrying grade point averages above 3.5. Ashford is know as a school that turns out student athlete scholars not only on an individual basis but also as a whole. The Saints men’s tennis, soccer and basketball teams and the women’s soccer, volleyball and basketball teams were also named as NAIA Scholar teams, with all individual players maintaining a 3.5 GPA or higher. For those looking to attend on line, the school maintains an aggressive learning environment with a strong history of dedication to proper liberal arts training in Ia for over 100 years. For those looking to attend locally, Ashford University has everything an aspiring collegiate would look for, including excellent teaching facilities and instructors, a great athletic club, and even newly acquired dormitory option for students wishing to live on campus. Have you studied at Ashford University? Please provide a brief review of your experience at Ashford University in the comment section to help other readers! In February of 2006, the American Graduate School of Management, Sentinel University, and the American College of Computer Sciences joined forces to become one institution, American Sentinel University. This leaner, stronger school, has gone on to become a well established name in providing quality distance learning for individuals in the areas of IT, nursing, and business administration or intelligence. American Sentinel University is accredited by the Distance Education and Training Council (DETC) and the Commission of Collegiate Nursing. It is well known as a quality school with easy access for active duty military and veteran education. American Sentinel university was awarded the G.I. Jobs Military Friendly School award three years in a row from 2009-2011, and the Military Advanced Education Top Military-Friendly University designation over the same time period. American Sentinel University has become a popular destination for over 1000 satisfied alumni, both in and out of uniform. In 2011 the Student Satisfaction Survey found that approximately 95% of its students gave it high marks. American Sentinel University has an excellent on line offering, with a wide range of skill relevant career options and educational advancement opportunities. Its curriculum comes complete with masters degree programs available for all of the core fields, and even offers on line doctorates in Educational and Executive Leadership for Nursing Practitioners. American Sentinel University declares in their mission statement that they wish “To be recognized as a world leader for providing accessible, quality, advanced education for the motivated learner/professional who seeks success in their chosen fields and communities”, and their curriculum is designed to do just that. Unlike some other on line educational institutions, American Sentinel University is very active in their local, and regional, as well as the national and international communities. American Sentinel University maintains several educational and military affiliations that tie them in partnership with the communities they support. The ability to create partnerships with the local medical community, military education interests, and business associations that reflect the goals and interests of American Sentinel University, its students, and the demographics they serve has been an asset that few other distance learning centers have yet to replicate. 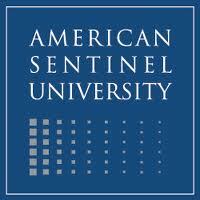 American Sentinel University also sets itself apart from other on line schools by the tuition and fees they charge. They have some of the most reasonable tuition rates available when compared to other on line schools, especially when you take in to consideration the lucrative areas of study to which American Sentinel University is focusing its talents and resources. American Sentinel University recognizes that in the last 10 years, health care needs have continued to rise with the availability of new technology. This never ending need for new talent has to keep up with the fast pace of not only the growth, but the advanced technological skills that dominate the field. This has also solidified the need for easy access distance learning at the higher levels of medical training. Registered nurses are one of the most overtaxed resources in health care providing circles. With easy access to the on line education provided by American Sentinel University, nurses and other medical professionals can now maintain speed with occupational needs such as B.S. or M.S. in Nursing completion, or pursuing a doctorate in Educational or Executive Leadership, without sacrificing their current career or contribution. The information technologies field continues to evolve, and the business community is always in need of professionals to navigate the growing needs of successful business’ and managing their development. By focusing on the trifecta of business, health care, and information technology, American Sentinel University covers a wide range of successful career opportunities without stretching itself thin. This has enabled American Sentinel University to continually offer not only diversity, but quality, in its educational programs for students. Have you studied at American Sentinel University? Please provide a brief review of your experience at American Sentinel University in the comment section to help other readers! In 1998 Steve Appelbaum decided to form the Animal Behavior College (ABC). At the time, Steven was the owner of the Animal Behavior & Training Associates (ABTA), the biggest independent dog training center in the United States. There was an innate need by the ABTA and other training centers to find qualified personnel. Unable to find qualified and capable trainers in the abundance to keep up with current needs of a growing industry, ABTA took the next logical step and developed a trainer program of their own. Animal Behavior College followed in the footsteps of ABTAs success and quickly became a household name in pet trainer education in North America. They did this by concluding exclusive agreements for dog training services to both Petco Animal Supplies in the United States and the Petcetera Warehouse chain in Canada. This gave ABC market coverage in almost every state in the US, and large portions of Western Canada. Having such a high profile existence has helped Animal Behavior College in many ways. This exposure allowed them to fast become known as a premier animal training instruction center. The ability to attract quality pet training instructors for the program was paramount to the success of Animal Behavior College, as well as the ABTA, and taking that seriously, ABC installed a rigorous animal trainer screening process that surpassed all federal, local, or state regulations and expectations at the time. They still maintain this standard of excellence today. The instructors at Animal Behavior College are top notch and the best of the best. In the first two years of ABCs trainer selection program, over 70% of all applicants were turned away from employment for exam failure. At the time, not only was the quality of training that was available minimal, but the quality of education, and the availability of training choices that fit the needs of the trainees and training centers was also lacking. For the trainees, they have traditionally had to spend over $10,000 and relocate for months at a time to attend training. This made it hard for training centers to find people willing and able to take the financial and lifestyle sacrifices needed to become a qualified trainer, as well as presenting the the fact that there was limited resources to provide such training to fulfill the need for even those still interested. In time, this situation was realized in the industry, and a second option for study was created that seemed to solve the crisis, the animal behaviorist correspondence course. This second option would allow busy pet enthusiasts to study to become a trainer at lower cost and with less of an inconvenience factor. It would also lower the cost of training and allow resources to be allocated to training larger numbers of students. ABTA and ABC did not see this as a proper way to address the need, as the correspondence courses lacked the hands on needs fundamental to the animal behavioral sciences which lowered an already lacking quality standard of training. So they created a third way. ABC students would first complete written material courses in correspondence. When those courses are completed to satisfaction, then ABC pairs each student with a local training partner for an apprenticeship. This allowed for the best of both worlds, and benefited all involved. Animal Behavior College, with its relationship to ABTA, was in a unique position to leverage its already existing nationwide database of animal training professionals, giving it a preset template for local to national collaboration. Animal Behavior College became a national professional training network with an iron clad reputation almost instantly. Animal Behavior Colleges long existing dominance in the pet behavior training and instruction market make ABC an obvious choice for many looking to become an animal behavior specialist. Its lower cost of training and flexibility in certificate and attendance choices make it optimal for the beginning student enthusiast, as well as for those choosing animal training as a full time career. The quality of the training offered, ABCs reputation for excellence, and its vast network of local and regional support make it without comparison in the correspondence only market. We’ve been there – the teacher who can’t really teach, the textbook that makes things even more confusing, and the frustration that comes with studying for the big test. With Educator, you can solve all these problems. Our customized interface creates a one-to-one learning environment with the professor while emphasizing graphical explanations and working through solution steps. Join over 100K satisfied high school and college students who have aced their classes and exams with Educator.com’s videos. Have you studied at Animal Behavior College Online? Please provide a brief review of your experience at Animal Behavior College in the comment section to help other readers! Anthem College On line (ACO) is a health care, business, and legal training school that was founded in 2003. While providing quality education in these areas of expertise for almost a decade, Anthem College has distinguished itself as a distance learning school that understands the direct connection between education and career success with qualified instructors that understand the on line teaching environment. ACO has over 140 faculty members, and each one of them was selected and trained to maximize their teaching ability by transforming their teaching methods to excel in a distance learning classroom. On line education has its own unique traits when compared to traditional in class instruction. The same can be said for the teaching experience as for the student’s prospective. ACO has strict teaching credential requirements for its teaching faculty, and sets the same high standard for its student achievement. Over 95% of ACO faculty have higher than a bachelors degree, and all go through rigorous on line teaching skills training before dealing with students. Based out of Phoenix Arizona, Anthem College Online offers virtual classroom access to almost anywhere connected to a high speed Internet connection. With health care, business, and legal careers as the institution’s focal point, they offer degree and diploma programs in 8 subject areas. Accounting and business management are provided for business professionals. Health Information Management, Health care Management, Medical Office Administration and Medical Assisting courses provide diploma, AA, and BS level training for the health care field, and Anthem College Online also supplies the need for paralegals and law enforcement professionals with an AA in paralegal studies and an AA or BS in Criminal Justice. Military personnel might find it interesting to note that Anthem College On line is in partnership with the Arizona Veteran Supportive Campus Initiative as a pilot on line education center. Anthem College Online offers the flexible schedule that comes with Internet distance learning, but it also provides a lot more. The virtual campus is accessible 24 hours a day, 7 days a week to allow interactive collaboration between students and instructors semester long. All communications tools are used to their maximum potential without putting an undue technological burden on the students. Video streaming, groupware activities such as forum collaboration, and computer simulations are all used to further the quality and accessibility of ACOs educational resources. Health Information Management, Medical Assistant, Business Management, Accounting, and Paralegal courses also contain an on campus component, with over 20 locations from coast to coast to choose from. Anthem College Online is committed to distance learning whenever possible, but also acknowledges, and wishes to provide, the hands on training that is needed to qualify individuals to competently compete in their career field after study. Businesses are prone to hire an employee with an on line degree more than ever before, with more than a third of all businesses seeing no deficiency in the validity of an on line degree as compared to a campus only option. Where this credibility might not exist, it is quickly overshadowed by the fact that Anthem Online University is much more than a “website with a university”, but has been a full fledged post secondary education provider of the highest repute, both on line and off for several years. There is also good news for graduating students, with almost 3/5 of all employers stating that they had hired an applicant with an on line degree within the past twelve months. ACO is a nationwide school accredited by the Accrediting Council of Independent College & Schools (ACICS), Accrediting Council for Continuing Education & Training (ACCET), Accrediting Bureau of Health Education Schools (ABHES), and the American Veterinary Medical Association (AVMA), among others, though ACO can not currently take enrollees from Arkansas or Massachusetts. The school is fully able to accept federal financial and G.I. bill qualifying aid and a student is encouraged to apply for such aid as soon as acceptance to the school is verified. Have you studied at Anthem College Online? Please provide a brief review of your experience at Anthem College Online in the comment section to help other readers! Argosy University Is based out of Phoenix Arizona and was formed through the combination of the American Schools of Professional Psychology, the Medical Institute of Minnesota, and the University of Sarasota. Through this merge, Argosy University created one of the biggest supporting alumni organizations in the United States. This has given them a pedigreed collegiate basis that not many on line education programs have access to, as well as contributing greatly to the schools success. Argosy University has its roots in on campus learning and brings that knowledge along with them to the virtual classroom. The rote curriculum is the standard as would be given to any student in attendance at its physical campus location in Phoenix Arizona. No part of the resources or requirements are lacking in the on line version of its likewise accredited degree programs. This curriculum is accredited by the Accrediting Commission for Senior Colleges and Universities of the Western Association of Schools and Colleges. Argosy also oversees the operations of 18 other physical campuses as well as its virtual classroom, and financial aid is available to all qualified individuals. Argosy University Online is not just another on line school. They provide opportunities for education in some of the most respected areas of study offered to the academic population. In addition to associate programs and bachelor degrees, Argosy also offers several masters and doctorate degree programs in high profile career subject areas like education, organizational leadership, and even pastoral studies. The university’s official website states the desire to provide a “curriculum that includes relevant, real-world skills”, “designed to provide our students with a high quality education”. Argosy follows through well by offering 7 different associates and bachelor degree programs in wide appeal areas such as liberal arts, psychology and business administration. They also provide more specialized programs for growing segments of the career market, such as criminal justice, public administration, and non-profit management. In addition to the ability to complete a masters degree without ever attending campus, there is a doctorate degree program for advanced study professionals who wish to continue on toward campus study. The Argosy doctorate program selection is unique in the fact that it is designed to meet the requirements of not only a specialized career group, but has a significant emphasis on general community leadership and education. An excellent school that offers both a doctorate in pastoral community counseling and business administration, Argosy University has put it on line and in the hands of almost anyone. To have the opportunity for such an advanced educational opportunity without inconveniencing your current lifestyle is one of the benefits that makes Argosy University Online one of the the most successful on line universities in existence today. The only difference between the physical campus location and the virtual classroom is the delivery method of resources available to the students and instructors for facilitating communication. Learning in a virtual environment can sometimes require more discipline and effort on the part of the student than is needed to stay on track while on campus. To overcome the reduction of student to instructor physical contact in an on line setting, the school has made student interaction a top priority of the instructors it employs. Through a network of email, telephone, and on line classroom contact, productive contact is maximized while allowing for schedule flexibility. Argosy is committed to reduced class sizes, even on line. Their instructors are pure professionals, and the effort that they stress on providing individual attention to students is one of their hallmark attributes. Have you studied at Argosy University? Please provide a brief review of your experience at Argosy University in the comment section to help other readers! Berkeley College is a business and professional trades school that offers a wide range of associate and bachelor degree programs designed to educate graduates to meet the changing needs of business organizations and professional institutions. The school operates a virtual classroom setting, as well as seven physical campus locations throughout the eastern seaboard in both New Jersey and New York, including two of them in Manhattan. Berkeley College strives very hard to give students everything they need to compete effectively in the business world, with several degrees options. Offering degrees in everything from administration and general business to fashion marketing and non-profit programs, the Berkeley College School of Business has a program to meet the specific business focus a student would want to take after graduation. The Berkeley College professional studies programs provide high demand career oriented training such as preparing students for employment or advancement in the medical services, crime and justice, a paralegal career, or even home interior design. Berkeley College does provide a less specialized education degree through their School of Liberal Arts. The body of subjects encompassed within the liberal arts program include the language arts, humanities and literature, and the mathematics and sciences. The on line campus setting offered by Berkeley College covers many of the degree subjects available on campus, and even has some additional resources for many subjects, including a complete computer information systems course, that is found only through the virtual classroom. The school takes great pride in selecting only the most qualified instructors with the highest of professional standards and their widely accepted curriculum. All of the Berkeley College locations are accredited by the Middle States Commission on Higher Education. The American Bar Association also gives its support to their paralegal programs through its accreditation. Berkeley College also supports and benefits from close ties with their on line and campus communities. Campus demographics reflect this close relationship. Demographically, Berkeley college mirrors the communities it serves through its promotion of diversity. Out of the aver 6,000 students that Berkeley has served, over 60% of them have been women, and a majority come from diverse ethnic backgrounds other than white, with over 30% being African American. There is an extensive network to help military veterans with post service education, and over 35 million dollars was awarded to help lower income individuals attain the education they need to succeed. Mirroring the fact that our local communities are also made up of non locals, many of Berkeley’s student hail from abroad, making up the over 700 international students that attend. Focusing on the local and regional relationship needs of business, civil society, and the student body, Berkeley’s training programs offer specific program requirements while at the same time offering the flexibility of both on line and off line campuses, afternoon and night courses, and 24-7 interactive technology access. The career partner and education relationships has also helped to form the core methods of teaching at Berkeley. Berkeley’s programs are very much hands on, and interaction between the instructors and the students follows suit. Much emphasis is placed on real world experience in fields of study, and pursuing career opportunities after graduation. Business and industry input not only helps in the development of educational material and degree program formation, but also serves as a networking platform for students to find job placement after completing their chosen course. The school currently utilizes more than 20 career services specialists to help match potential employers with graduating students. With networked employers also engaging in internship programs and job training prior to graduation, the success rate for matching can be quite high. While not often thought of as an athletic powerhouse, Berkeley College does offer sports activities, both on an intramural basis and intercollegiate level. Berkeley holds standing membership in the United States Collegiate Athletic Association (USCAA) and the Women’s Athletic Conference. Have you studied at Berkeley College? Please provide a brief review of your experience at Berkeley College in the comment section to help other readers! A.T. Still University was formed in 1892 and stands as the world’s first osteopathic medical school. Continuing to be a trend setter over one century later, they operate as of the finest and well known medical schools in the world. A constant utilizer of both high quality faculty and advanced technology, its core message of training for the delivery of whole person health care has reached thousands of students over the years. This in turn has contributed immensely to the high quality of health care in the United States and abroad through the education of some of the best health care professionals today in over 35 countries. In research alone, A.T Still University has contributed through the parenting of two esteemed research institutions, the Museum of Osteopathic Medicine and the International Center for Osteopathic History. It is also widely acknowledged that A.T. Still University is one of the best centers for geriatric health research and education in the United Sates, and is regularly introduced in US News and World Report’s “Best Graduate Schools Guide”. A.T. Still University offers a wide multidisciplinary and education level degree offering ranging from a Doctorate in Health Sciences or Dental Medicine down to a Certificate in Orthodontics. In all, there are over 800 doctorate programs to choose from, over 350 at the masters level, and boast 70 certificate programs to expedite education for much needed and specialized career personnel training. The institute itself has at its core the combination three distinct elements of medicine. These are a commitment to whole person health care, Osteopathic Medicine as a science, and evidence based medicine as the method of pursuit. The university is fully accredited through the Higher Learning Commission of the North Central Association of Colleges and Schools and a percentage rate of over 90% of the full time students attending receiving some sort of scholarships of federal financial aid. While many schools seem to end their obligation to their students with the passing of a grade, A.T. Still University understands the preparing for a career in the medical field is much more than a few hours a day commitment. At two of their campuses they offer on campus housing as well as pointing the way for prospective students toward off campus arrangements at all of their locations. This sense of community is also seen through the varied resources available to attending students, from its First Impressions magazine, to its 50+ student organizations that thrive on and off campus. A.T. Still University not only brings luster to the communities its campuses grace but also brings the best local communities to its students. Both Mesa, AZ and Kirksville, MI are wonderful places to live, with Mesa’s urban and energetic setting at almost a half million people, to Kirksville’s almost idyllic small college town makeup with slightly over 20,000. No matter what feels like home, A.T. Still University makes a valiant attempt to rival. A.T. Still University does its very best to live up to its mission statement that declares the intent to “serve as a learning-centered university dedicated to preparing highly competent professionals” to a tee. And with a reputable history of over one hundred years of doing just that, I would say that it is doing very well at living up to that commitment. 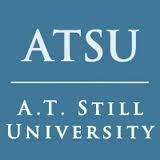 Have you studied at A.T. Still University? Please provide a brief review of your experience at A.T. Still University in the comment section to help other readers!